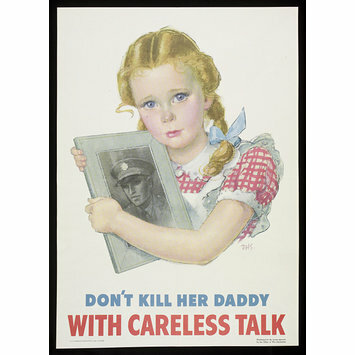 "Don't kill her daddy with Careless Talk", World War II propaganda poster warning against careless talk. 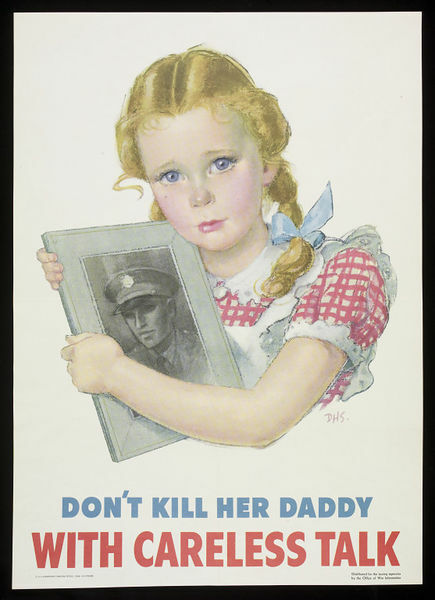 The poster depicts a little girl, wearing a short-sleeved red gingham dress with white collar, cuffs and apron, and with her blonde hair in braids, tied with blue ribbon, is hugging a framed picture of a serviceman. She is pictured from the chest up. Her blue eyes look out imploringly at the viewer. 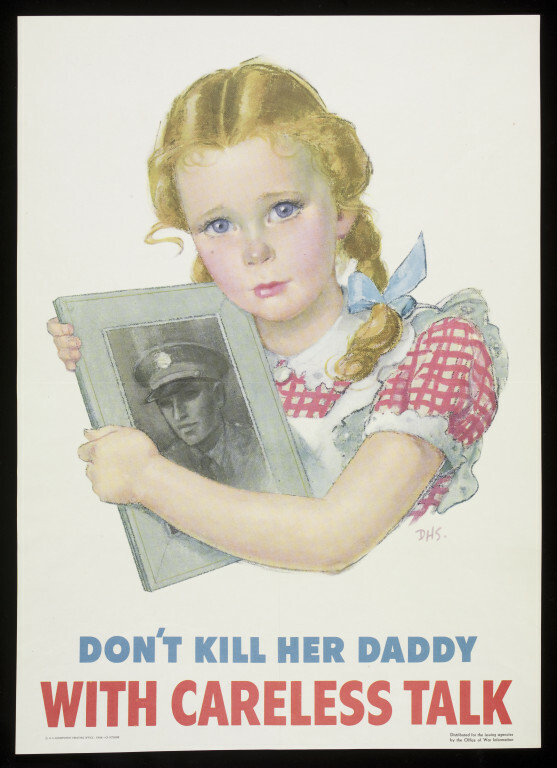 Below this image is the message, 'Don't kill her daddy' in blue letters, and below this, in red letters, 'with careless talk'.